How many calories in Walnuts? See below, the Walnut calories for the different serving sizes. We provide you with Walnut nutrition facts and the Walnut benefits to help you lose weight and eat a healthy diet. Walnuts, as with most nuts, have a high fat content and hence are high in calories. 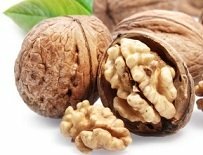 But Walnuts are full of good fat; they are a rich source of omega-3 fatty acids and alpha-linolenic acid, which promotes a healthy heart. Once you’ve cracked the shell and removed the nut, do not remove the skin, eat everything, that’s because the skin contains phenols and flavonoids which are thought to have anti-cancer benefits. Walnuts are also high in manganese and copper. Copper is thought to protect against rheumatoid arthritis. They are high in omega-3 fat which is essential for our brain to function properly. Walnuts also help to prevent gallstones. There are many other health benefits of Walnuts including lowering cholesterol (LDL). It is considered that if you eat a portion of nuts (30 grams) about twice a week, it was reported in a journal called "Obesity", that you are less likely to gain weight than those who do not eat nuts. See our nuts calories comparison chart to compare calories in Walnuts with the other calories in nuts. Percentages are relative to US Recommended Daily Intake (RDI) for adults. 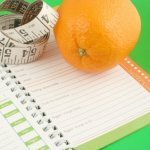 How Many Calories to Eat for Weight Loss? Programs that work and have thousands of satisfied customers worldwide!